Wow this is a lovely card! helen, this is amazing…I LOVE it. 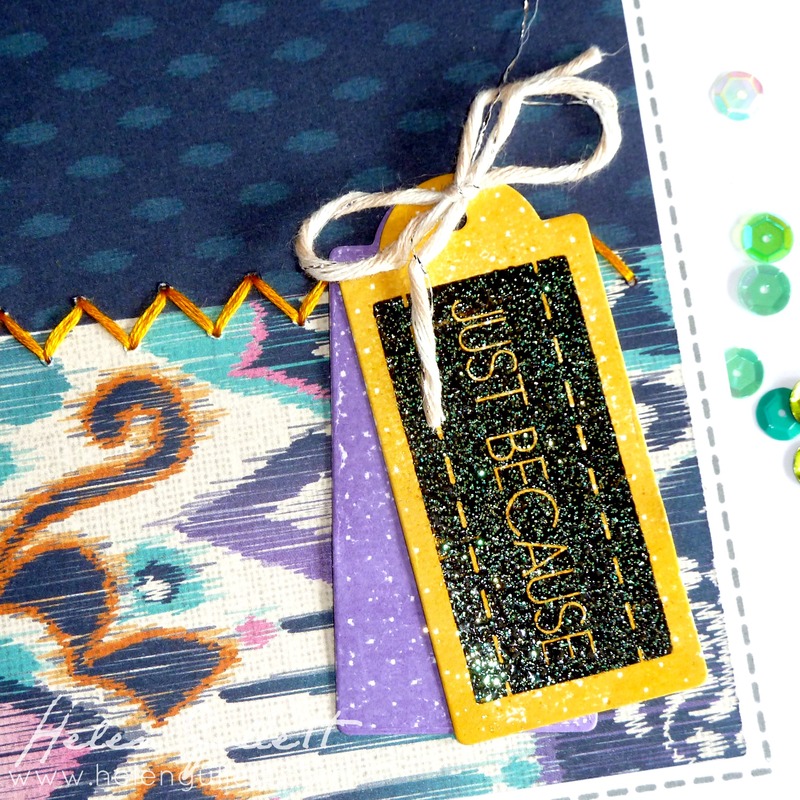 There are so many wonderful details on your card from the polka dot stamping to the sweet stitching! Thanks so much for sharing! Hi Ruth, thank you so much! Very sweet–I like the stitching. Gorgeous card Helen. Love the colors and that tag! Thanks for sharing and for displaying the button. WOW!! Awesome take on the Waffle Flower Sketch!! 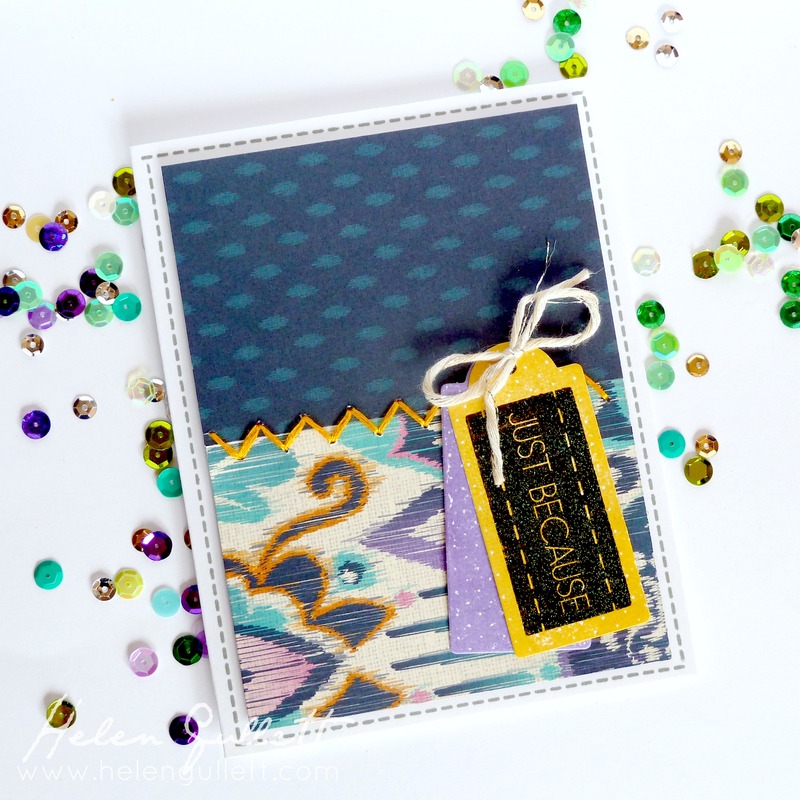 I love the added stitching around the card and the zig zag stitching!! Thanks for playing along with us!!! Love these papers and that great stitching! Wonderful card, and thanks for playing along with the WFC challenge!